For use on refractors and SCT telescopes to provide a correctly oriented image. 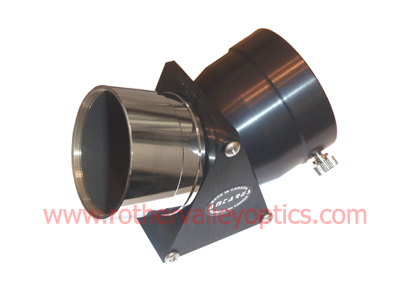 An additional adaptor is required to fit SCT telescopes as this adaptor is a 2" push fit. Provides nice, clear, sharp & bright images. Ideal for terrestrial viewing and for erect image astronomical viewing. This brand new 2" erecting prism from Antares features a high quality prism, recessed barrel, flush 2" - 1.25" adaptor, 2 set screws to hold this adaptor, 2" filter threaded.